On March 30, 2018, a working meeting of the university management and the Institute faculty with the students of the VIVES university college (Belgium) in the specialty “Occupational Therapy” – Ines Verrekas and Natani Jones took place in the Institute of Physical Culture and Health of the Ivan Franko State Pedagogical University in Drohobych. The meeting started with the welcoming speech of the director of the institute Professor Mykola Lukyanchenko and the vice-rector of the University Associate Professor Yuri Vovk. Yuri Vovk told the Belgian students about the structure and main directions of the University’s activities and emphasized the importance of international cooperation. 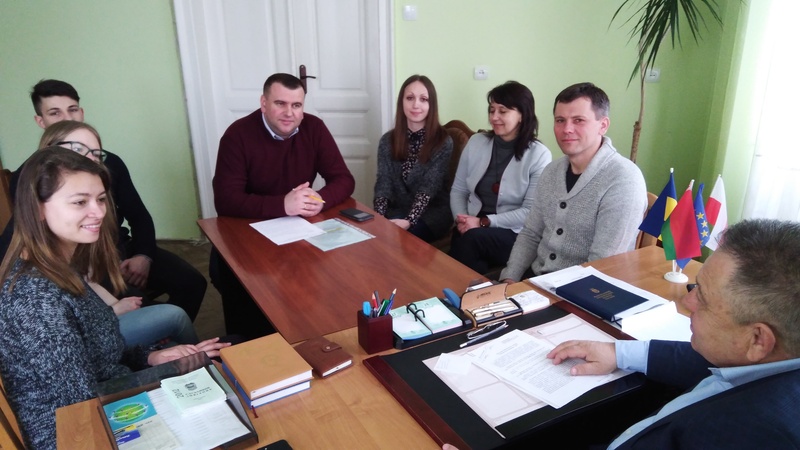 Professor Mykola Lukyanchenko, Director of the Institute, welcomed the joint Ukrainian-Belgian project “Wonderful Hands”, which is being implemented at the Caritas charity organization in Drohobych, whose participants are students of the VIVES University College. According to the program, Belgian students, Ines Verrekas and Nathanie Jousse, will work for two months with children and young people with mental and physical disabilities and their parents attending the Wonderful Hands Center at the Caritas. During the working meeting, important issues related to the implementation of the “Wonderful Hands” project and the involvement of students in the specialty “Physical therapy, occupational therapy” were discussed. This will help our students, future occupational therapists to adopt the Belgian experience of the work with mentally and physically disabled young people and their parents. The meeting emphasized the importance of sharing the experience for the students and teachers of the institute and emphasized the need and importance of further cooperation between the Institute for Physical Education and Health and the VIVES University College (Belgium). Participants of the working meeting (from left to right: Professor M. Lukyanchenko, Belgian students (Ines and Natani), associate professor Y. Vovk, student I. Yavir, associate professors N. Hrybok, N. Zakaliak, O. Lohvinenko.